The Epic Speakernet™ is all about speaking, the profession, and the craft and service that it can and must provide. It is a speaker bureau led by speakers, based out of and serving Newfoundland and Labrador. It is a network of professional speakers, who deliver on content rich work right here on the Rock and in the Big Land. We are bringing the first ever, locally run speaker network… to help you find the right message and delivery for your events. We are engaging some 17+ diverse and independent experts in their own right, who are committed to the craft and profession of speaking and training, found right here, and beyond… to serve right here… to serve Newfoundland and Labrador. Many of our expert speakers also serve as contributors to our monthly broadCAST™. 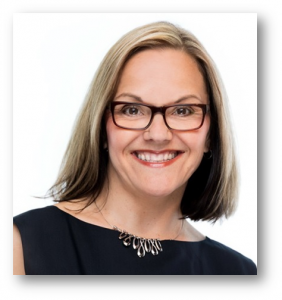 If commitment to excellence and professionalism is important to you… if making your event or conference rich in content and delivery is important… we very much encourage you to connect with Tracy Carberry today. Below, you will find a listing of our content rich and passionate professional speakers. Keynote ranges of fees ranges are listed, though negotiable depending on circumstance. These fees are for National conferences. Rates for Provincial conferences and other local events are lower and available upon request. Some or many of our speakers will have breakout, workshop and not-for-profit fees as well. It is best to connect with us to get more information. We will not steer you wrong. So, have a browse through our talent. Barry Lewis Green moves the needle on character leadership and unity building with joyful ferocity and thoughtful zeal. Barry helps leaders forge strong, united cultures at school, work, business and community. Joe Calloway says, “I had the distinct pleasure of being in an audience in Montreal with Barry Lewis Green on the stage. Quite simply, Barry absolutely captivated us with his talent, his message, and his heart. The feeling of unity that Barry created in the room that day was extraordinary.” As a speaker, educator, master facilitator, coach, writer, singer, dancer, and cartoonist, Barry stokes the fire on together strong. Fee Range: $5000-8500. CONTACT US TODAY. 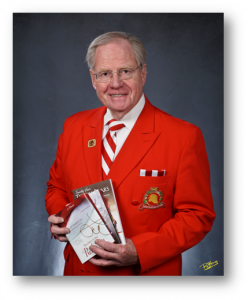 Bruce Templeton has assisted Santa Claus in St. John’s, Newfoundland for 40 years with 1500+ visits in a red suit. Those visits have generated some amazing memories for children, families and him. Bruce is the only living Santa in Canada, of 20 in the world, to be a member of the International Santa Claus Hall of Fame. He has been knighted as a Knight of St. Nicholas and has written three books. Through those efforts, and with matching funds from Rotary and the Gates Foundation, he has bought polio vaccine for 300,000 children. Bruce has a great story to tell. Fee Range: $3500-7500. CONTACT US TODAY. 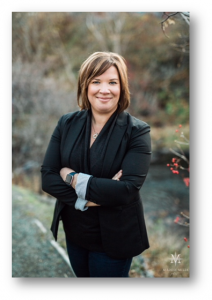 Corina Walsh is a certified Coach, Trainer, and Speaker … and the owner of Shift People Development Inc. She works with business owners and their teams to help them leverage the power of emotional intelligence for greater leadership and team effectiveness. Corina published her first book in 2017 entitled, The Engaged Employee Blueprint. Corina helps companies implement her framework to increase engagement among employees and build a thriving workplace culture. With this in mind, Corina works with individuals who are ready to reclaim their personal power so they can play a bigger game as leaders personally and professionally. Fee Range: $3500-7500. CONTACT US TODAY. 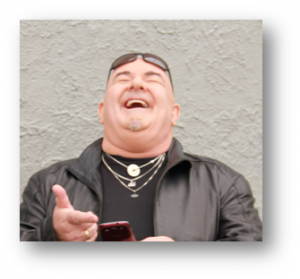 Gary Summers is a professional speaker, magician, hypnotist, hypnotherapist and author having written MINDBODYSOUL (the mental, physical and spiritual sides of wellness.) 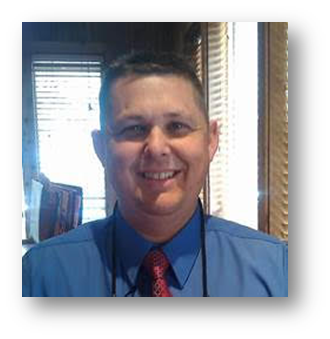 He has a Master’s Degree in Physiology and certifications in Hypnotherapy from the American Institute of Hypnotherapy and Cognitive Behavior Therapy from the National Association of Cognitive Behavior Therapists. 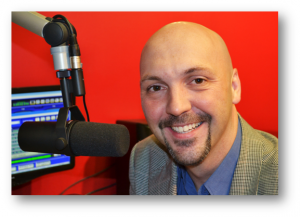 Gary hosts a weekly radio show on VOCM Radio Sundays at 1:30 pm called MINDBODYSOUL helping listeners with their mental wellness. Ultimately, Gary teaches people how to think properly because he says, “When you change the way you think about things, the things you think about change.” Fee Range: $3500-7500. CONTACT US TODAY. Joel Sweeney is all about effective communications. Indeed, he has been speaking, training, coaching and writing about it for over 20 years. He is the author of The Wedding MC Handbook and Little Helpings of Food for Thought. His third and most recent book, The Speaker’s Tool Box – Perfecting the Craft of Speaking, was released in the 2015. As the owner of Professionally Speaking (established in 1995), Joel helps entrepreneurs and business professionals become effective, engaging and confident speakers by finding their best and most assertive and skilled voice. Online or in person, Joel delivers on the skills of speaking. Fee Range: $3500-7500. CONTACT US TODAY. Ray Hollister is all about excellence and potential. In fact, he has one astoundingly powerful personal story to tell. Believe it. Ray has a remarkable connection with students, helping thousands achieve average scores of over 90% for nearly 30 years! Ray’s love of learning, and his ability to teach anybody powerful and actionable strategies quickly, earned him legions of new friends seeking his advice. Ray’s programs are tailored specifically to Middle School, High School, and University students. His newest program for educators helps them provide powerful strategies to students when they need it most … to achieve excellent results. Fee Range: $5000-8500. CONTACT US TODAY. Mark Black is a Heart and Double-Lung Transplant Recipient – turned – 4- Time Marathon Runner. 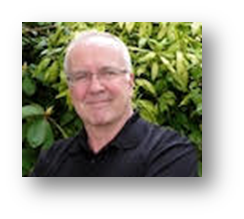 A resilience expert, coach, and author, Mark helps people “Thrive in Challenging Times”. In 2002, Mark survived a rare and dangerous heart and double-lung transplant. Three years later, he became the only man in history to complete a marathon with someone else’s heart and lungs. His programs provide tools to transform adversity into your competitive advantage. 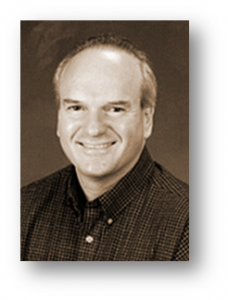 Mark is a Certified Speaking Professional and has worked with global brands including Exxon Mobil and Mercedes Benz. He lives in Moncton, NB with his wife and three children. Fee Range: $5500-9000. CONTACT US TODAY. Tracy Carberry is a pro, on real world human resource leadership. Bringing her background in community leadership and human resource development over the last 12 years, she is that people person who communicates, connects and coordinates; and gets results. Whether with the Virginia Park Community Center, Young Adult Cancer of Canada, Enactus, Academy Canada, MoMondays or Epic Engage™, she demonstrates real on-the-ground leadership and brings it every time with an understanding that people matter, and they matter to our success. She now speaks to the idea of advancing effective human resource leadership for small to medium size companies and not-for-profits. Fee Range: $2500-5000. CONTACT US TODAY. After twenty years of ‘successful’ yet unhappy corporate living, Leslie Bridger decided to follow her calling, helping people create healing environments both internally and externally with nature. After her near-death experience in 2005, she fully understood the importance of what she had learned from the Elements. Leslie now spreads this message through her joyful awe-inspiring talks accompanied by her uplifting nature photography, as well as her upcoming book “AWE for Humanity: Awakening Wisdom from the Elements”. Her mission is to lovingly empower others, individually and in groups, as they awaken to the magnificence within and all around them. Fee Range: $3000-7000. CONTACT US TODAY. Sheena Grobb is about compassion. A songbird from the age of two, songwriter at ten, with 3 albums under her belt, a nomination for the Western Canadian Music Awards, and 500+ tour dates across North America and the UK… Sheena is one of Canada’s best kept secrets. 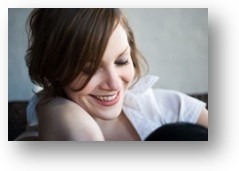 With her album, The Breakless Heart, mastered at Abbey Road Studios London, and a life changing music video created by Lindsey Nelko (past choreographer with So You Think You Can Dance)… Sheena embarks on her meaningful work around compassion, inviting others to “unlock their lives” through sharing their stories; as she shares hers. Fee Range: $5000-8500. CONTACT US TODAY. Bring Your ‘A’ Game to Work and Life!! Using humour and heart, this author, radio host and social entrepreneur keynotes for busy professionals from the Mayo Clinic to the Middle East. Stephanie helps people who are ‘nice for a living’ find more time, energy and motivation for what matters most. She is the Manitoba Women Entrepreneur of the Year winner for Contributions to Community, a wife, mom and tri-athlete (she came in last, but who’s counting?). Steph’s programs are proven to increase feelings of hope, happiness and empowerment for participants. Impressed yet? She also bakes a mean chocolate chip cookie! Fee Range: $5500-9000. CONTACT US TODAY. Jon was born and bred in St. John’s and is especially passionate about helping to build the entrepreneurial ecosystem in Newfoundland & Labrador. 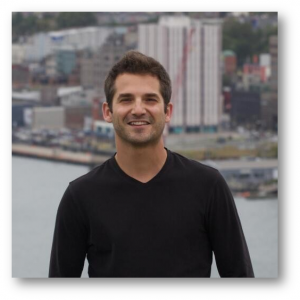 After graduating from MUN in 2009, he spent the following 9 years building a career as an entrepreneur. He has started companies in both Ottawa and St. John’s, and most recently, a food business called LunchIn. Jon has also launched Get Started Café; an initiative that offers a new approach to professional development, leadership, and community impact. He believes that thinking like an entrepreneur can help anyone become empowered at work, enact social change, and find purpose. Fee Range: $2500-5000. CONTACT US TODAY. 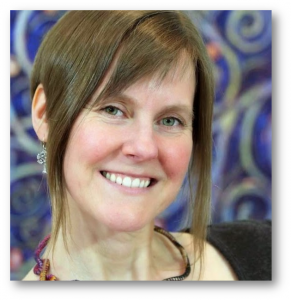 Dominique Hurley is an intuitive visionary artist, educator and naturotherapist who guides you to explore and express your True Self through inner guidance. Grounded in her love of beauty and the beauty of love, Dominique delivers insight and inspiration through her Intuition Into Action Treasure Map: 5 Steps to a Happy Healthy Life. 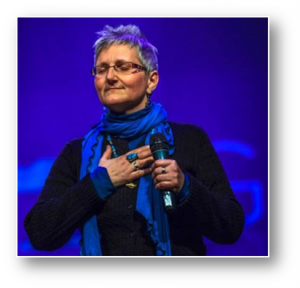 She’ll delight you through energy-infused art, keynotes, practical interactive workshops, guided visioning meditations and more. If you’re looking to activate whole-brained success in your life, organization or community, hire Dominique to nourish your transformational journey. Her unique blend of expertise will animate your meetings, events, conferences, and conventions. Fee Range: $3000-7000. CONTACT US TODAY. A seasoned (but not too spicy!) 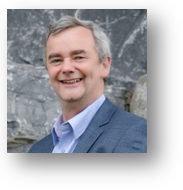 speaker with 40 years experience, David is best known for his creative presentations, playful demeanor and relentless focus on delivering value to his clients, colleagues and community. The main focus of his business involves working with individuals and groups who have no one else to point to as excuses for their own inaction. This has led him to spend the majority of his time helping executive teams and Boards make tough decisions to grow their businesses in a complex and unpredictable economic environment, while discovering the individual courage required to learn and grow! Fee Range: $5500-9000. CONTACT US TODAY. Health and Productivity Expert Michelle Cederberg galvanizes people to blaze their own path and live a bigger life. An in-demand speaker, author, and coach, Certified Speaking Professional Michelle transports delighted audiences on a journey of truth and laughter that empowers them to optimize health and energy habits, find better work-life balance and gain momentum toward the personal legacy they long to create. 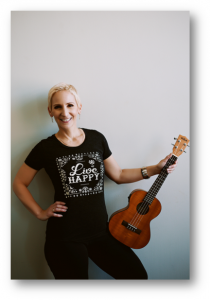 Michelle holds a Masters in Kinesiology, BA in Psychology, specialization in Health and Exercise Psychology, and is a Certified Exercise Physiologist, Professional Co-Active Life Coach and ORSC-Trained Team Coach; combining mind, body, and practicality to inspire change! Fee Range: $7500-9000. CONTACT US TODAY. Holly McCue is a creative enthusiast and the co-founder for ThinkLEFT, Inc.; a marketing agency that focuses on humanizing and connecting brands with their audiences across social channels… bringing a whole new meaning to “storytelling.” Having graduated from Memorial University with a Bachelor of Business Administration (BBA) degree, Holly has developed a very distinct business approach in association with her passions of reading, writing, photography and psychology. It is remarkable. Understanding people and serving a fresh perspective on knowing and telling your story, is what Holly values most; and she does deliver. Fee Range: $2500-5000. CONTACT US TODAY. 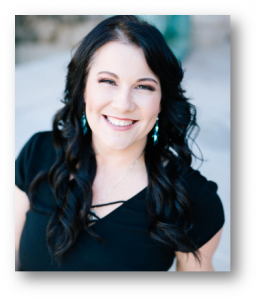 Tonya Whittle is an inspiration speaker, thought leader, coach and behaviour expert blending modern strategies with ancient wisdom to help people overcome emotional and mindset blocks that prevent them from living to the fullest. Her motto is “do more than exist” that life is here to be lived fully. Having overcome childhood trauma, Tonya understands fully the concept of just getting by. Using the very strategies she teaches, she reclaimed her power in life and helps others do the same. It’s less about what happened to you and more about what you do about it. Fee Range: $3500-7500. CONTACT US TODAY. Leadership Matters specializes in leadership life-cycle solutions; working with you to create fully customized solutions that are unique to your needs and ensuring your leadership strategy is executed and sustained to guarantee long-term success. 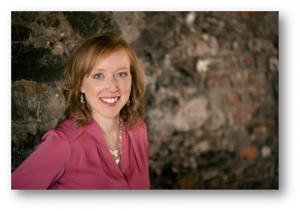 Heather Stamp-Nunes is the founder and director of Leadership Matters Inc, an executive coaching firm focused on one-on-one executive and top team coaching. Heather serves as a strategic thinking partner, who approaches today’s most pressing leadership challenges with curiosity, optimism, and practicality. 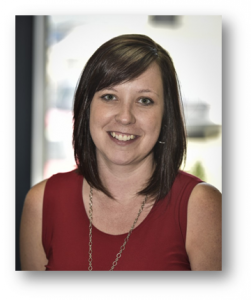 Heather works directly with senior leaders and their teams to leverage their strengths and accelerate and enhance leadership and top team performance. Fee Range: $3500-7500. CONTACT US TODAY. John Harnett is about people understanding themselves and others. With almost 35 years in Student Services at C.N.A. from Canada to Qatar, his passion comes from delivering workshops in Personality Dimensions® and MBTI®, and seeing ‘aha’ moments occur. His intent is that we understand and accept that we all bring something unique to the table, making our contribution. John loves teaching; facilitating countless personal development sessions and lecturing in the Faculty of Education (MUN). 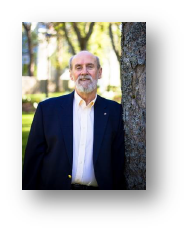 The sole Personality Dimensions® Trainer in Newfoundland and Labrador, John has held a variety of leadership roles in national/provincial student services organizations and international service clubs. Fee Range: $3000-7000. CONTACT US TODAY. Aiden Hibbs is a broadcaster, speaker, and coach. He believes that our approach to everyday conversations, phone calls, and even emails should be the basis for how we speak to much larger audiences. For 25 years Aiden has focused on creating intimate and impactful conversations through broadcasting. He can teach you to talk to 1 person in a crowd of 500! 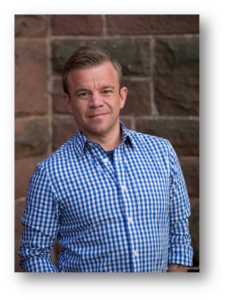 Aiden can help you transform your presentations and your one-on-one interactions so you become a better and even more inspiring communicator. 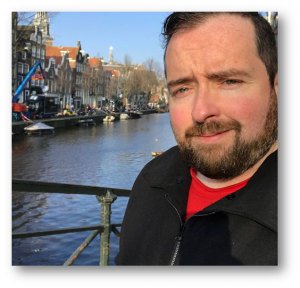 You can engage with Aiden on VOCM where he is currently the Evening Show Host and Program Director. Fee Range: $3500-7500. CONTACT US TODAY. Emily is about social enterprise. Graduating from Memorial University’s Commerce program, she was named HSBC Woman Leader of Tomorrow for Atlantic Canada, one of Inc.’s Top 50 Emerging Leaders in Atlantic Canada, and received the Unilever Leaders for a Brighter Future Award for Canada. Emily led Enactus Memorial to win the 2016 Enactus World Cup and place second in 2017. She is now a social entrepreneur, transforming the Enactus project into the social enterprise SucSeed. 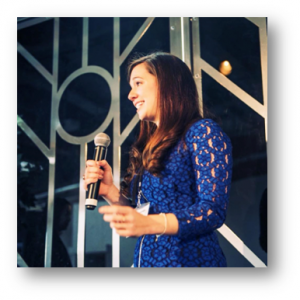 Whether speaking on SucSeed, social enterprise or what we can all do to create a better world, Emily’s passion for that better world shines through. Fee Range: $3000-7000. CONTACT US TODAY. Gerry Sullivan is a business owner who has worked as a business strategist for over 10 years. Speaking about his personal story of wellness and weightless … and balancing all of the expectations that other have for us, Gerry uses his own personal experiences, combined with the extensive training he has completed over the years, to provide a unique perspective in the areas of leadership development and healthy living. Gerry walks and talks the path of leadership and health, and brings it to his audiences and all those he serves, locally and globally. Fee Range: $3500-7500. CONTACT US TODAY.